Before the Spring tour gets started, the Bassnectar crew will be taking a little excursion to detonate a THUNDERBOMB in Arizona. 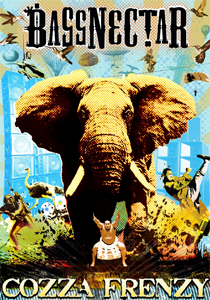 On February 12, 2010, Bassnectar will be performing at the Marquee Theatre in Tempe, Arizona. The Marquee Theatre is located at 730 N. Mill Ave. This is an all-ages event. Doors open at 8:00pm. This event features special guests DJ Element and Crusher.